John Legend shares picture of New born Daughter, Luna Simone - BlogIT with OLIVIA!!! 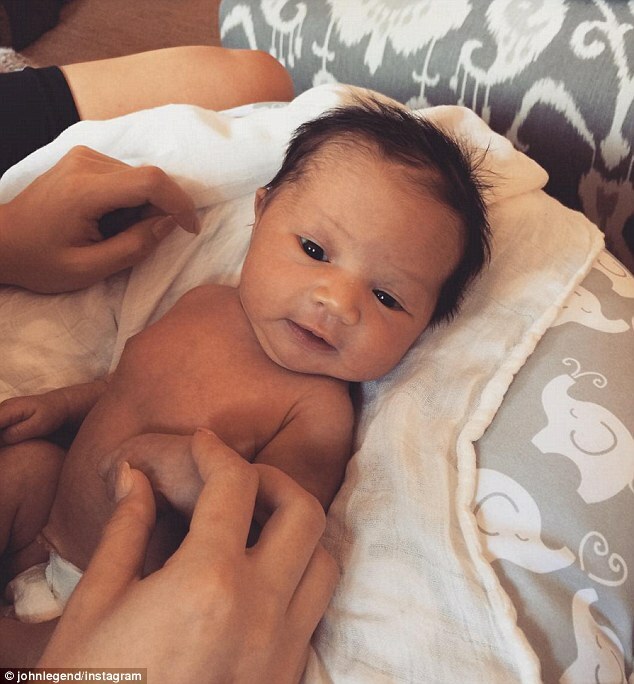 Doting new dad John Legend shared a picture of his newborn daughter Luna on Wednesday. The All Of Me singer and Chrissy Teigen welcomed their first child a week ago. In the new shot, their little girl is seen reclining on a pillow with a full head of dark hair and brown eyes.